Agricultural shows, archaeology, art and craft fairs, art exhibitions, book festivals, carnivals, concerts, county show, country fairs, drama, flower displays, food festivals, hobby events, motorcycle rally, music festivals, open gardens, sewing and wool shows, and community organisation events. What’s On Events in and around North Tawton, Devon, throughout the year. NGS Garden Open for Charity – Higher Cherubeer, Dolton, Winkleigh, Devon, EX19 8PP. Open 2.00 pm to 5.00 pm. Winter opening for National Collection of cyclamen, hellebores and over 300 snowdrop varieties. Admission: Adults £4.00 Children free. NGS Garden Open for Charity – East Worlington House, East Worlington, Witheridge, Crediton, Devon, EX17 4TS. Open 1.30 pm to 5.00 pm. East Worlington House 2 acre garden is filled with thousands of crocuses and set in a beautiful position with views down the valley to Little Dart River, these spectacular crocuses have spread over many years through the garden and into the neighbouring churchyard. Devon Cream Teas available in thatched parish hall next to house. Admission: Adults £3.50 Children free. The Exeter Festival of South West Food and Drink is an annual event held in the courtyard of Exeter Castle and the surrounding Northernhay Gardens, EX4 3QE, right in the centre of Exeter. Taking place over three days, the Festival also includes two evening Festival After Dark Events featuring live music, chef demos, and a great atmosphere. Stalls serving delicious food and drink throughout the day. Michael Caines MBE of Gidleigh Park, Chagford, Devon. “At Home” is Michael Caines’ first recipe book and contains almost a hundred ideas for cooking in a domestic environment. Exeter Festival of South West Food achieved Tourism Event of the Year Gold Award. The Ten Tors Challenge organised by the Army, specifically 43 (Wessex) Brigade, from its Moor Group Headquarters at Okehampton Camp. It is assisted by the Royal Navy (with manpower and helicopters), the Royal Air Force and the Dartmoor Rescue Group: between them, they oversee the participants and ensure that none comes to lasting harm. 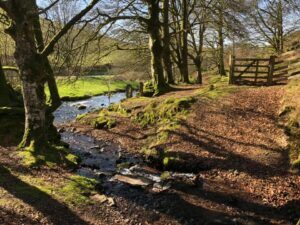 Dartmoor Ten Tors Challenge takes place annually in May and is limited to 2,400 individuals, four hundred teams of six teenagers. The teams, depending on age, face hikes of 35, 45 or 55 miles (56, 72 or 88km) visiting ten nominated Tors over two days. The Devon County Show is the biggest show in the County of Devon and the perfect place to enjoy a relaxing family day out sampling the many wonders of the local countryside. From fabulous livestock and fine local food, magnificent flowers, and gardens, to rural skills and country crafts pursuits and practically non-stop activity in six rings, there’s something for everyone who loves the countryside way of life. All things Farming, Food, and Fun at Devon County Show. Members of the Women’s Institute are showing that they are much more than “Jam and Jerusalem” through their presence at the Devon County Show craft marquee. Devon County Show, Westpoint Arena, Clyst St Mary, Exeter, Devon EX5 1DJ. There’s something for every member of the family at the Royal Cornwall Show. The Royal Cornwall show is the biggest annual event in the county and is full of exhibits and activities which offer much in the way of entertainment, competition, information, shopping and all that’s best in food and farming. The finest event in the South West celebrating the best of British designer making. Okehampton Town Centre, EX20 1EP – from 9.00 am to 3.00 pm. 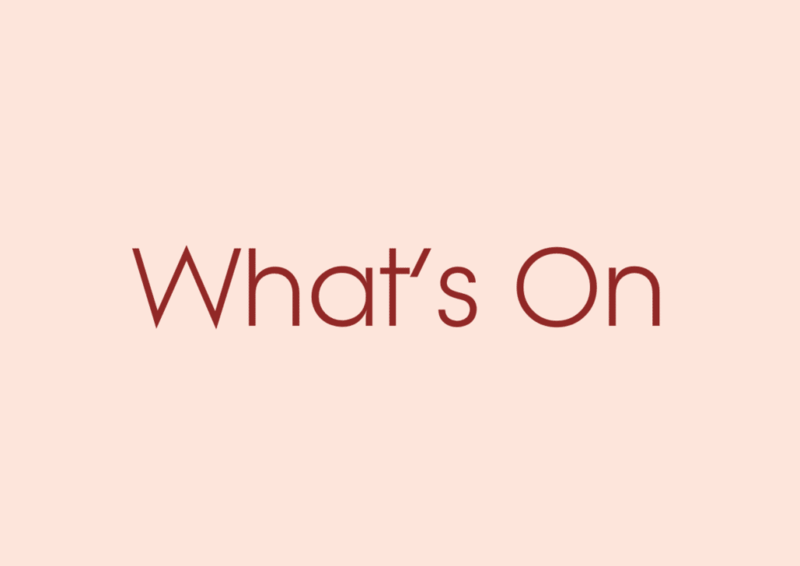 Silver Band Concert, Production of ‘The Vicar of Dibley’ by Hatherleigh Players, Ukulele Workshop, Moth Hunters in the Churchyard, Music Bands and Solo Artists, and much more! Chagstock Music Festival is a not for profit organisation supporting Devon Air Ambulance Trust and Water Aid charities. Chagstock annual music festival event attracts an attendance of 5,000. Camping areas for Campers and Caravans, and a quieter camping field for families, at Chagstock Music Festival. The Mid Devon annual show, from 9.00 am to 5.30 pm, is a superb mix of agriculture, crafts, local produce, various displays, and stands. Discover the latest news about the Moistown Archaeology Project: outcome of research undertaken by ACE Archaeology Club into the medieval and post-medieval settlement at Moistown, part of Pattiland Farm. Lapford annual music festival event boasts the finest eclectic mix of music that Devon has to offer; a celebration of young local musicians and local bands, with all genres of music catered for, everything from rock, pop, and folk through to blues and jazz. North Devon’s premier agricultural event – The North Devon Show – is a celebration of its agricultural roots. A host of livestock classes occupy the arenas throughout the day; with Alpacas, Cattle, Horses, Sheep, Show Jumping and Open Dog Show. Attractions, crafts, displays, demonstrations, local food, and trade stands. North Devon Show is open from 8:30 am to 6:00 pm. The North Devon Show situated in an impressive 50 acres site, with an adjacent car parking area of 42 acres: on the A377 five miles south of Barnstaple; opposite the Murco petrol station EX37 9DZ between Chapelton and Umberleigh. The Dartmoor Folk Festival is a friendly traditional festival, which features Ceilidh, Song and Music Sessions, Dartmoor Step Dance and Broom Dance Championships, Dances and Music Hall, Dartmoor Fayre, Craft Displays, Sunday Ramble, and Children’s Festival Events. Craft tent, Demonstrations, Sideshows, Dance Displays, and Children’s Entertainers. Camping facilities on site with catering van located on the campsite serving breakfasts, snacks, and drinks. The Okehampton Show provides all day entertainment from 9:00 am to 5:30 pm. Lots of attractions and local food stands. The vast amount of exhibits on display at the Okehampton Show includes Vintage and Classic cars and motorcycles, commercial vehicles, steam engines and stationary engines, tractors, horticulture machines, and many other items of interest. Rural Crafts Tent, Trade Stands, Dog Shows, Horse, Pony and Donkey classes, Private Driving and Heavy Horses, and Showjumping. Classes for Cattle, Sheep, Dairy, Goats, Pygmy Goats, Poultry, Pigs, Rabbits, Bees, and Honey. Chagford Show features Dartmoor Horseback Falconry, The Dolphin Youth Marching Band, The Dartmoor Hill Pony Display Team, and The Sheep Roadshow. 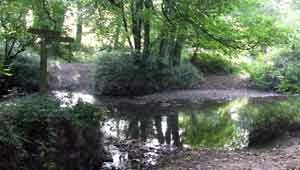 Three meadows alongside the River Teign host over 200 stalls. Sewing, Knitting, Crochet, Yarn, Wool, Hobby Craft; Guild, Federations, and Societies. Textile Groups, Demonstrations, Mini-Workshops, and all things Crafty. Appledore Book Festival founded in October 2006 by a local committee led by local children’s author f Horrible Science, Nick Arnold. Today the Appledore Book Festival is a charity with a mission to spread a love of reading and learning in Devon while focusing publicity on the pleasant quayside village of Appledore and its quaint narrow streets. Patrons: Judi Spiers, Jeremy Vine, Nick Arnold. Authors who featured in 2014 Appledore Book Festival include: Maya Angelou, Terry Walton, Jeremy Vine, Fay Weldon, Helen Dunmore, Lord David Owen, Michael Morpurgo, Jenny Molloy, Mark Horton, Alan Smith, Rob Barratt, Sandy Brown, Katie Fforde, Vicky Pryce, Chris Waters, Susan Swingler, Irma Kurtz, Judy Finnigan, Richard Madeley, Nadine Dorries, Peter Christie, Dr Irving Finkel; and many other well-known authors. Appledore Book Festival 2015, the line-up of authors guest speakers featured Nicholas Parsons CBE in conversation with Appledore Book Festival Patron Judi Spiers, Terry Waite CBE, Ann Widdecombe, Pam St Clement, Martin Bell OBE, Dom Joly, Patrick Gale, Tony Hawks and Elkie Brooks. Talks and panel discussions, music, and workshops, at Appledore Book Festival, Appledore, North Devon, EX39. The carnival family fun day commences with a coffee morning in Okehampton Charter Hall from 9:30 am to 12:00 pm. Lots of brightly coloured costumes and superbly decorated carnival floats to enjoy as the main procession makes its way through the streets of Okehampton. Street trading and refreshments situated throughout Okehampton town. Hot Food available at North Tawton Rugby Club. Family fun day and evening featuring Hatherleigh’s Famous Tar Barrels. The Fairtrade Group will be serving Free Fairtrade Hot Chocolate from 6:00 pm to 9:00 pm at The Baptist Church. There will also be Fairtrade goods for sale and live music. Okehampton Mayoral Carol Concert featuring Okehampton Excelsior Silver Band starts at 7:00 pm in Red Lion Yard. Enjoy the aroma of roasting chestnuts while gazing upon the splendid array of colourful light displays and Christmas Trees throughout Okehampton town.